A fun bike-riding event on Main Street is being planned for Saturday, September 12 at 10:00 a.m. The Discover Main Street Fun Ride will be a fun morning for casual and serious bikers alike. The purpose of the event is to highlight the coexistence of traffic and bicycles on the street and to allow riders to see and discover Main Street businesses up close. A committee is working away putting this event together, with a few small details being finalized. All this information can be found here. The cost is going to be $7 per person or $25 for a family. All registered riders will receive our handsome dri-fit event tees. You can register online by visiting this link. Funds raised by this event will go towards a new bike corral that will be installed in the near future at the Clarence Farmers’ Market. 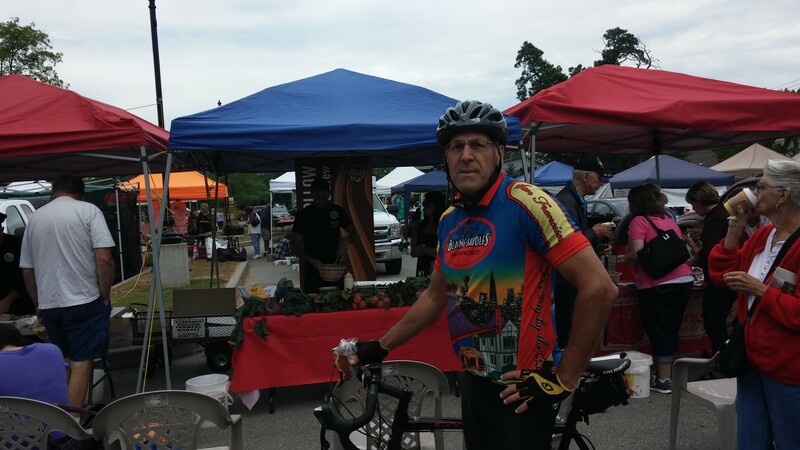 On Saturday, September 12th, at the Mill Street side of the Clarence Hollow Farmers’ Market, riders will congregate for a 10:00 a.m. start. 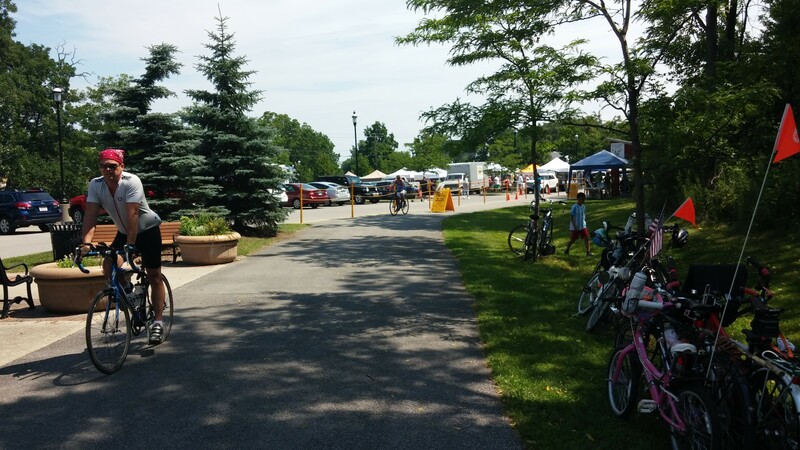 We encourage riders to park at the Clarence Town Park and take the bike path down to the market. There will be parking available on Main Street too. Riders can chose to ride one of two routes: a 1.75 mile Youth and Family Route or a 11.75 mile Main Street ride. We’ll keep you updated every few days with new information on the event. By participating in this event, you’ll be showing that Clarence supports a bike-friendly Main Street commercial district. Vibrant communities value the benefits brought to them by people who ride bikes. Bicyclists tend to explore and patronize businesses due to the slower pace and sense of exploration. Bicyclists from outside communities travel to those towns that have safe and accessible biking options. If there was a wishlist for the future, many people would like to see dedicated bike lanes installed on Main Street. The addition of bike racks at common destinations and businesses would also be a nice improvement to the Main Street community. Our initial project involves the construction of a Main Street branded bike corral to be installed at the Clarence Hollow Farmer’s Market. Previous Previous post: Penny Lane Cafe: a colorful addition to Main Street in Clarence.